2011-08-18. Updated puzzle to remove the WP in the middle of the housing estate. The solution goes directly to the cache. 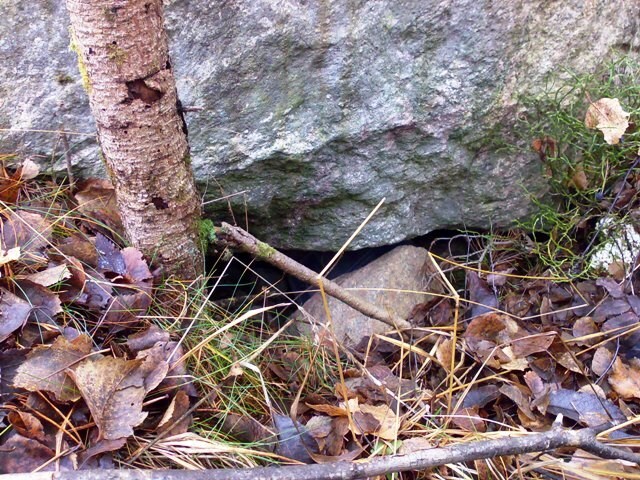 The cache is not hidden at the above co-ordinates. You must solve the puzzle below in order to find the correct co-ordinates for the cache. Five geocachers all live on Homewood Road, in houses numbered 1 to 5. Each lives in a different house an downs a different GPS'r. From the information below you must find out where each person lives and which GPS'r they own. From this information you can work out the co-ordinates for the cache. The cachers names are BosseB, Deerfoot, Lilla Gumman, P4 and Woodsman. The GPS'rs owned are a Garmin eTrex30, a Garmin Montana, a Garmin GPSMap 62, a Magellan Triton 300 and a Magellan eXplorist GC. BosseB owns a Garmin GPSMap 62. The owner of the Garmin eTrex30 lives at number 5. Lilla Gumman lives at number 1. The Magellan GPS'rs are owned by cachers with even house numbers. P4 owns a Magellan eXplorist GC. Woodsman lives in house number 5. A = The house two numbers lower than the one where BosseB lives minus 1. B = The house where P4 lives plus the house where Woodsman lives. C = The house where Deerfoot lives. D = The house with the Montana 600 plus the eXplorist GC. E = The house where the GPS Map 62 can be found. F = Deerfoot's house plus the house with the eTrex30. TM. Haqre n ynetr obhyqre.